MICROSAR is the embedded software for your AUTOSAR ECUs. It consists of the runtime environment MICROSAR RTE and MICROSAR basic software modules (BSW). They cover the entire AUTOSAR standard and contain a lot of useful extensions. The uniform and intuitive user interface of DaVinci Configurator Pro is used to configure the MICROSAR modules. This tool includes helpful features like automatic derivation of parameters and extensive validation functions. The basic software modules of the MICROSAR packages assure basic functionality of the ECU. They contain the implementations of AUTOSAR standard services you will need for your functional software. You are able to develop your functional software platform independently, because the AUTOSAR architecture follows a consistent strategy of hardware abstraction. You can configure all necessary MICROSAR BSW modules based on your project requirements, and after generation you can integrate them with the functional software. This produces a complete set of ECU software. If the functional software consists of AUTOSAR-conformant SWCs, you will need a runtime environment (RTE). The MICROSAR.RTE implements communication between the SWCs and their access to data and services from the BSW modules. Along with managing the entire flow of events and information, the MICROSAR.RTE also assures consistency in the exchange of information and coordinates accesses across core or memory protection boundaries. The numerous extensions make MICROSAR the ideal solution for all ECU projects. For a short descriptions of individual packages please refer to the following tabs. A detailed description is provided in the comprehensive MICROSAR Product Information. MICROSAR.OS is a preemptive real-time multitasking operating system with optimized properties for use on microcontrollers. Vector’s many years of experience in developing operating systems and drivers for microcontrollers are bundled into this small, robust operating system core. MICROSAR-OS is based on the AUTOSAR OS specification, an extension of the practice-proven OSEK/VDX-OS operating system standard. This standard was extended to include functions for time monitoring and memory protection. The implemented high resolution timer mechanism for example offers time resolutions of less than 1ms without increasing the interrupt load. Depending on the controller, this may enable resolutions into the microseconds range. MICROSAR.OS is fully conformant to the AUTOSAR OS specification and supports all scalability classes. The basic software modules (BSW) of MICROSAR.COM include AUTOSAR services for ECU communication. These services can support any number of communication channels. They are bus-independent and are needed in every communication stack. Per AUTOSAR architecture, they handle control and full integration in the ECU software of bus-specific communication modules for CAN, CAN-FD, J1939, FR, LIN and ETH. MICROSAR.CAN is used to handle communication in CAN networks. It is also well-suited as a foundation for calibration with XCP, gateways or re-programming. You can also extend MICROSAR.CAN with the optional J1939TP package to enable operation of an AUTOSAR ECU in a J1939 network. Support of CAN-FD up to 64 byte data with enhanced bandwidth. Available for many CAN-FD controllers. MICROSAR.FR is used to handle communication in FlexRay networks including partial networking. Furthermore, it is ideal as a foundation for calibration with XCP, gateways or flashing. MICROSAR.LIN handles communication tasks for a LIN Master in a LIN network. In addition, it may be used as a foundation for gateways or re-programming. The Internet Protocol and the higher level Transport Protocols UDP and TCP are very widely used standards for high speed data exchange over ethernet. The MICROSAR.ETH (ethernet) package contains the AUTOSAR BSW modules including a TCP/IP stack developed to an automotive standard for ethernet-based communication between ECUs. AUTOSAR 4.0 is the first version to specify ethernet as a network technology. In AUTOSAR 4.1, the specifications were substantially modified and extended. Further extensions, e.g. ethernet switch configuration and time synchronization between ECUs, are specified in AUTOSAR 4.2. The BSW modules of MICROSAR.ETH are available according to AUTOSAR 4.x and as a supplement to AUTOSAR 3.x. with their options of charging by AC or DC current. You can use the modules of the MICROSAR.CHARGE package to also have your ECU communicate with a server via commonly used Internet protocols. If necessary, the communication may also be encrypted. MICROSAR.AVB (Audio/Video Bridging) over Ethernet enables quick and reliable transport of audio/video data. The MICROSAR.AVB package contains various BSW modules which are overlaid on the Ethernet interface, e.g. from MICROSAR.ETH. The solution based on AUTOSAR 4.x supports vAVTP (Audio/Video Transport Protocol), vRTP (Transport Protocol for Real-Time Applications), vSRP (Stream Reservation Protocol), ETHTSYN (Time Synchronisation over Ethernet) and on request also BMCA (Best Master Clock Algorithm). This makes it possible to implement AVB end points as well as bridge functionality. MICROSAR.MEM contains AUTOSAR services for reading, writing and erasing persistent application data in flash and/or EEPROM memories. This gives the functional software hardware-independent access to memory. The application does not need to know the specific type of memory that exists on the platform or whether this memory is internal to the controller or externally connected to it. The system services in the MICROSAR.SYS basic software modules (BSW) cover an important part of your AUTOSAR ECU's basic functionality. They are called by the functional software (via the RTE) and the remaining BSW modules. The modules of MICROSAR.SYS offer all key functions for state handling of the ECU. System services include power and mode management, control of all communication channels and partial networks, monitoring of individual software components (SWC) of the functional software and within AUTOSAR 3.x scheduling of all BSW modules. Beyond the AUTOSAR standard, every OEM has its own requirements for diagnostics. That is why Vector offers MICROSAR.DIAG with OEM-specific extensions. It is well-suited for production use and is already available to many OEMs.For ECUs without a special diagnostic specification, an OEM-independent bundle of MICROSAR.DIAG is available. MICROSAR DIAG can be used for legal requirements of today and tomorrow, such as EURO VI. Support of OBDII (ISO15031/ SAE J1979) and WWH-OBD (ISO27145) is available as an option.If your ECU requires variants in the diagnostic configuration, MICROSAR.DIAG offers a high-performance solution for this.You can define up to 31 different parameterizations and store them in the ECU, in a resource-optimized way. This avoids redundancies in the ECU software, because identical interfaces to the same data, services and DTCs are combined in the generated diagnostic code. MICROSAR.MCAL is a turn-key solution for driving your microcontroller peripherals. When switching to different hardware, it is not necessary to make changes to the functional software. You will only need to replace MICROSAR.MCAL to integrate the appropriate new drivers. The MICROSAR.MCAL drivers perfectly fit to the overall MICROSAR bundle. Depending on the requirements of your application, you may use additional bundles (e.g. MICROSAR.CAN, MICROSAR.MEM, etc.) and thereby obtain a complete communications stack or memory management as an example. MICROSAR.EXT gives you a turn-key solution for driving your external peripheral devices. So, it is not necessary to modify the functional software when switching out external hardware. All you need to do is switch out the relevant drivers from MICROSAR.EXT. Depending on the requirements of your application, you can add other packages (e.g. MICROSAR.CAN, MICROSAR.MEM,etc.) for a complete communication stack or memory management per AUTOSAR specification. The cluster IO establishes a connection between the application (e.g. the SWCs) and the MCAL modules. This gives the application or SWC access to I/O ports, for example to read sensor data or steer actors. MICROSAR.RTE (Run Time Environment) is the scalable and highly optimized AUTOSAR run-time environment from Vector. The RTE is a module introduced by AUTOSAR that manages communication between the software components (SWCs). It assures consistency of the overall information flow and represents the interface between the functional software, basic software (BSW) and complex drivers (CDD). When the functional software of an ECU is implemented by AUTOSAR-conformant SWCs, the user needs the RTE as a runtime environment. This modular layout of the ECU software offers the user maximum flexibility: SWCs that have been manually developed or designed by model-based tools can be re-used in multiple ECU projects. The RTE only needs to be reconfigured and regenerated for the specific ECU and, if applicable, the BSW modules. It is also possible to use a SWC in multiple instances on one ECU. The MICROSAR.AMD package efficiently supports you in testing your AUTOSAR ECU software. The basic software modules from MICROSAR.AMD have access to all important internal variables, states and error messages of your MICROSAR basic software. The XCP protocol (Universal Calibration Protocol) – familiar from the measurement and calibration field – is best suited for transferring ECU-internal parameters. Therefore, Vector decided to develop MICROSAR.AMD based on XCP. MICROSAR.XCP enables measuring and calibrating according to ASAM XCP. It allows address based read and write access to ECU memory. The module was especially optimized for use together with CANoe.XCP and CANoe.AMD as well as CANape. It is available for many topologies: CAN, CAN-FD, FR, ETH, LIN, J1939. MICROSAR Safe helps you to integrate safety-related functions into your ECU. It lets you develop AUTOSAR-based applications for ECUs up to ASIL D per ISO 26262. MICROSAR Safe enables freedom from interference in executing safe software parts with different ASIL and non-safe software parts (QM software) on the same ECU (Mixed-ASIL systems). The modules used are SEooC (Safety Elements out of Context), which are developed according to ISO 26262 / ASIL D. MICROSAR Safe is the result of many years of experience in the field of functional safety. Do you have questions related to the development process and safety strategies for using safety-related SWCs? We would be glad to consult with you in conjunction with Vector Consulting. The growth in the amount of safety-related information and personal data in the automobile is making protection against intentional data manipulation and data theft increasingly more important. Security mechanisms are being used to protect the integrity, authenticity and confidentiality of information. In this area, Vector can offer you components specified in AUTOSAR 4.3. SecOC interacts with the PDU router, and can be controlled by the application. The Cryptographic Service Manager provides access to cryptographic services. The Crypto Interface module provides a single interface to handle different crypto solutions. block unwanted traffic which is received or transmitted in order to increase the security of the entire network. the same ECU type can take over similar tasks at different positions in the car via the given identity (Example: door ECU left / right). the same ECU type can be used in multiple car lines as the ECU contains the communication descriptions of all car lines and will support the correct one in each car line after initialization. Post-Build Loadable allows changing BSW parameters of communication and diagnostics interfaces also after the ECU has been manufactured. As it does not require the application, compiler, etc. for the post-build update, it can be done easily and cost efficient by the car manufacturer himself. The Post-Build Loadable option is available for the AUTOSAR basic software MICROSAR. Driver assistance systems and infotainment are leading to increasingly more intensive intermeshing of established static ECU solutions with new dynamic services. That is why POSIX-based systems are being used more frequently in combination with classic AUTOSAR technology in ECU projects. The newly defined AUTOSAR Adaptive standard underscores this trend. Therefore, MICROSAR offers solutions for using classic automotive functions under a POSIX operating system as well, or for exchanging data between a POSIX domain and an AUTOSAR domain. ECUs designed to the new AUTOSAR Adaptive standard for which Vector offers a comprehensive solution. MICROSAR Gateway offers optimized AUTOSAR-based modules for gateways which enable routing on different protocol levels and between different bus systems (CAN, LIN, FlexRay, Ethernet). Building upon these basic functions, MICROSAR Gateway offers a number of special functions, such as mirroring of sub-networks and a modular plug-in concept for extending the existing functionality. The introduction of multi-core processors has also changed the design of the downstream AUTOSAR software. Individual AUTOSAR applications can now be distributed to different processor cores and thus be executed simultaneously. Crucial to success is to find the appropriate distribution for the intended application use case. For achieving this, internal ECU communication must be offered with minimal synchronization losses. MICROSAR Multi-core is perfectly integrated with the TA Tool Suite which offers automated application distribution optimization. In addition, MICROSAR embedded code is designed to efficiently provide basic software services and intra-application communication. This provides optimal support for a large number of applications. The process for developing an ECU typically begins with creating the individual software modules (SWC). However, because of the continued trend towards shorter project time, there is generally insufficient time to sequentially create all the necessary SWCs first, then test their interaction with one another and finally test their interplay with the basic software on the target hardware. An integrated test of the SWC together with basic software is essential for early assessment and fast iteration. Numerous projects today are characterized by the need to start test runs in a very early project phase - sometimes in a phase in which the target hardware has not yet been fully defined. vVIRTUALtarget offers the optimal solution for this situation. It is an emulated runtime environment in which ECU software can be executed without requiring access to real hardware, which decouples test execution from hardware platform. This, in turn, leads to substantial time advantages. Furthermore, the same basic software configuration can be used for both the target hardware and the environment of vVIRTUALtarget. A CANoe license is required to simulate and measure communication and I/O interfaces. The application area of the J1939 modules is in handling communication in heavy-duty vehicles over CAN networks with the special features defined in the SAE J1939 standard. They are implemented in J1939-specific BSW modules and are supported by extensions in neighboring modules. In addition, MICROSAR.CAN can also be used to implement ISOBUS ECUs (according to ISO 11783) in agricultural vehicles and implements. For that purpose, J1939NM and CANIF were extended by functionalities for fully dynamic address arbitration and address tracking, and the ETP and FastPacket transport protocols were also implemented in the J1939TP. Also, maritime use cases according to NMEA2000 can be supported by FastPacket and fully dynamic address arbitration. 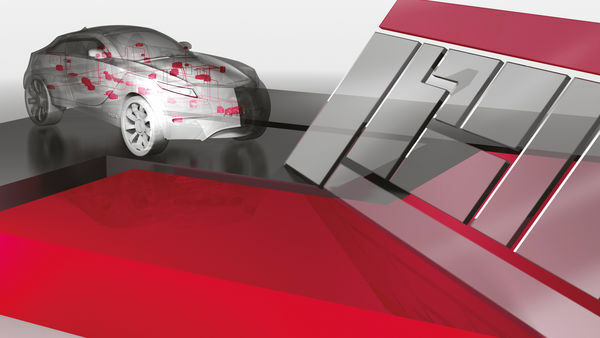 The Software Integration Package (SIP) and the Extended Integration Package (EIP) from Vector give you a decisive advantage in developing your ECU software: we test your software package before delivery, and you can put the entire package into operation within just a few days. Via a questionnaire, we catalog your requirements in as much detail as possible in advance of delivery. Afterwards we custom-build your Software Integration Package as individually as possible on this basis. MICROSAR.SIP is a standard delivery item, and it focuses on the broadest possible range of use for your stack. It optimizes the usability of our delivery to you, even when constraints are altered slightly. MICROSAR.EIP assists in followup activities after an initial delivery. It offers crucial support in achieving a quick and comprehensive startup. The goal here is to pass the first bench test at the OEM.